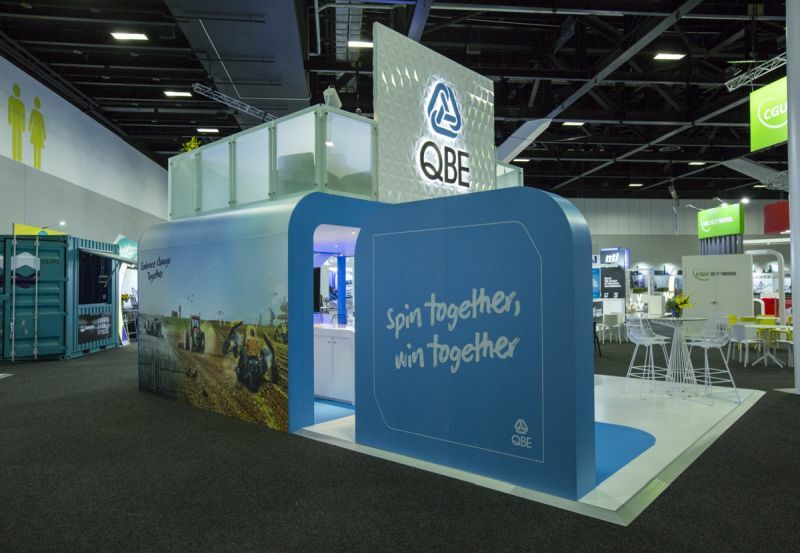 Concept Craft were approached by our long standing client, QBE, with a proposal to produce a two storey structure for their upcoming event. 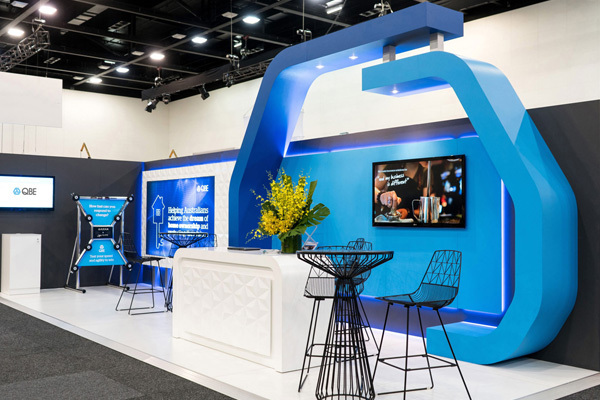 We adapted the design, to not only meet the needs of the client, but utilise elements of our hire mezzanine structure to produce a stunning exhibit, offering unique spaces to conduct business and entertain delegates. 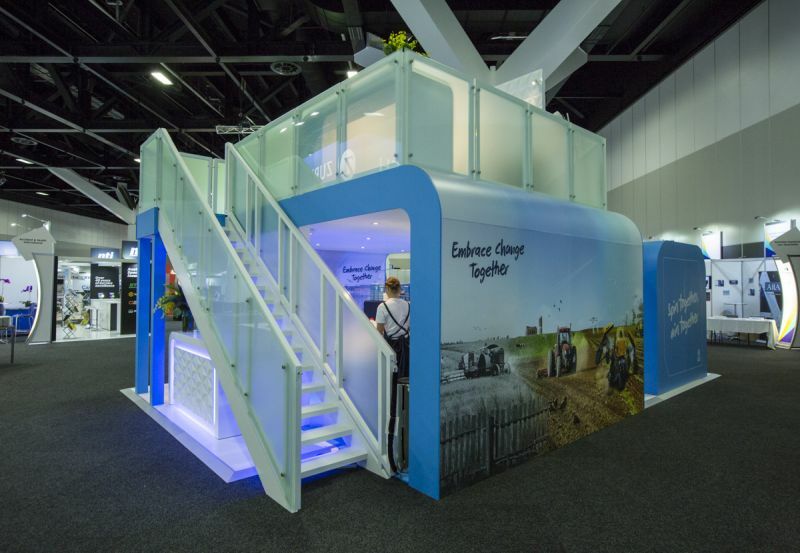 Having lengthy experience in the design and manufacture of exhibition stands, we ensured that all engineering regulations were met. 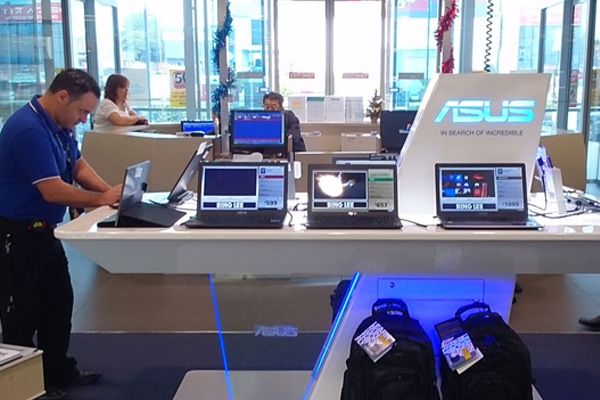 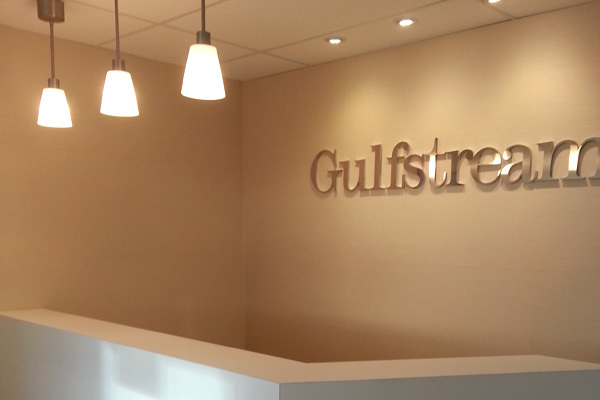 We adapted the clients' initial proposal to align it with our hire structure and then designed and fabricated components to best meet the tight turnaround times for installation. 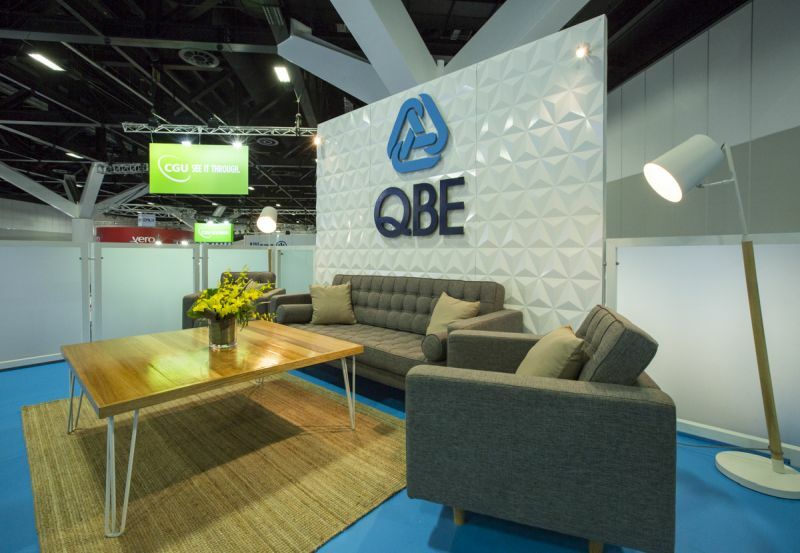 To draw people's attention and create a distinct point of difference we introduced new materials, like 3D wall cladding to act as a talking point. 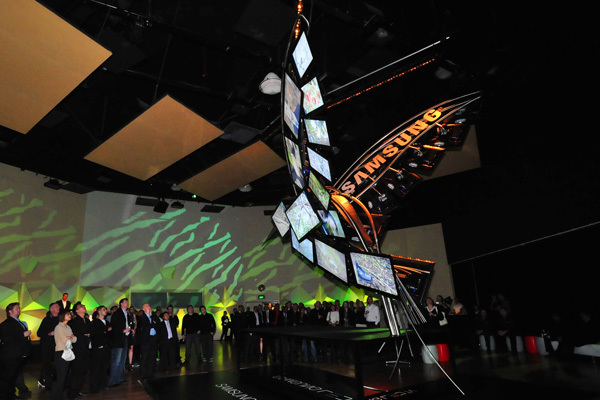 A green screen space was integrated for interactive elements and components were fabricated so they could be used multiple times. 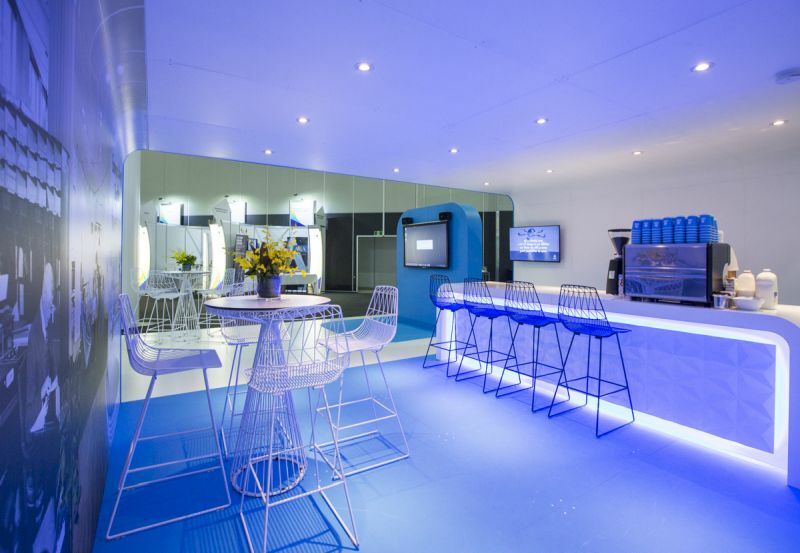 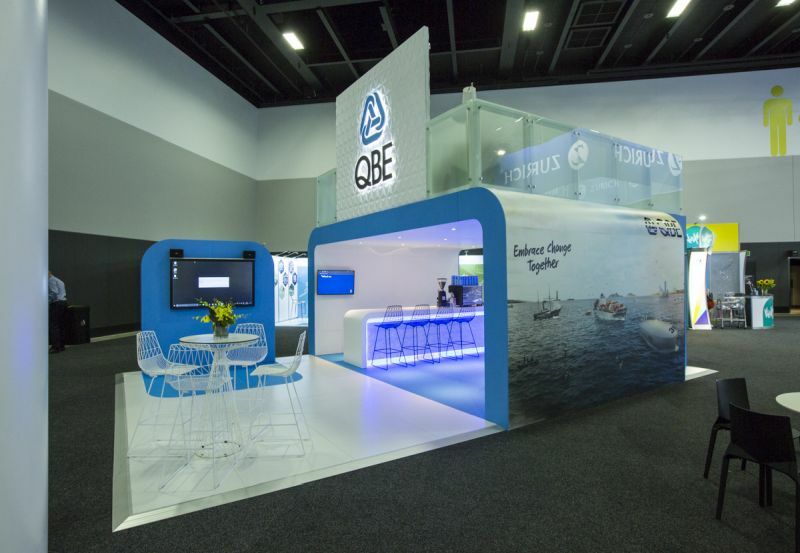 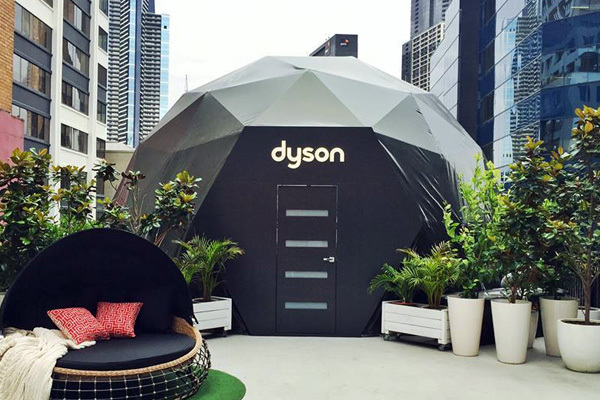 QBE were the best in show and created a unique environment to conduct business and entertain their guests.